RE/MAX Elite Surpasses their 2018 Goal for CMNHl! RE/MAX Elite raises over $38,000 for CMNH in 2018! 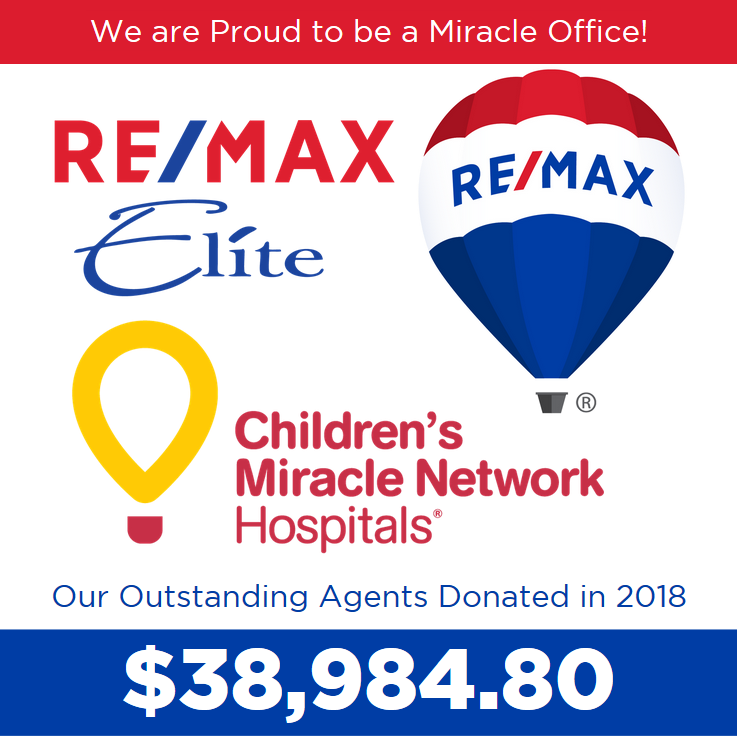 RE/MAX Elite raises over $38,000 for Children's Miracle Network Hospital in 2018! We are Proud to be a Miracle Office and 2018 was an exceptional year for RE/MAX Elite! We had a goal of $30,000 for 2018 and we crushed our goal by raising over $38,000! We were awarded the Miracle Maker Award and got to join in on Children's Hospital Week as well as the Annual CMNH Breakfast at the Annual RE/MAX R4 Convention. We participated in RE/MAX's Month of Miracles in August raising over $10k thru various fundraisers we had throughout the month.